While doing some work on the JQuery Plugins site today, I needed to use rsync over ssh. The ssh daemon on the remote server runs on a non-standard port, and all the port related options to rsync only change settings if you’re running the rsync-daemon. This is why Unix rocks. 70 Replies to "RSync with a non-standard SSH Port"
Thank you. This is why google rocks… “rsync ssh non standard port”. You helped a lot. Thanks for posting. Thank you for the tip. It is always hard to grep solutions on man pages. I had been losing my hair after this one! Anyone know how to get this to work on Windows? I installed cwRSync on Windows. I tried the command, but when /local/path is C:something it gives an error about both directories being remote. Any ideas? You have to used the /cygdrive/ when refering to local drives with cygwin tools. The post that keeps on giving. Thanks! And another vote of thanks! Trying to backup all my data from my PC to my new HP N40L microserver and I fell at the first hurdle. A quick Google search and I found this. I pass on my thanks, cheers. Excellent, exactly what I was looking for! Thank you. This worked perfectly for me. Perfect, just what I needed! Thanks. Thanks, i was needing this, and your suggestions worked.. Thanks again. My server is a Windows 7 machine and using some gui ssh server that I downloaded from a quick google search. 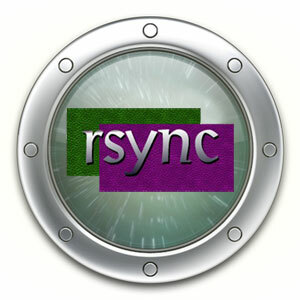 And running the rsync command from my Mac OSX 10.9 machine. Perfect, I was missing the -e parameter. Thank you! This worked great for backing up a remote NAS to a local destination. How would the command be restructured for sending files in the other direction? Yay! Worked for me. Thanks! Thank you! This is the simplest solution. I’m surprised this isn’t mentioned enough anywhere else. How about multifactor authentication. If SSH requires that verification code, how do we ensure rsync can also use that? While searching for the same thing “rsync non standard port” I came across a blog recommending me to use GS Richcopy 360. It had a trial period, so I used it and yes it solved the errors and I completely replaced Rsync with this. GS richcopy is even better than rsync. Nice post by the way! Good work! I like using rsync to backup local files to a remote server. Thanks!